Mixed nuts are a snack food consisting of any mixture of mechanically or manually combined nuts. peanuts, almonds, walnuts, brazil nuts,cashews,filberts,hazelnuts,and pecans are common constituents of mixed nuts. 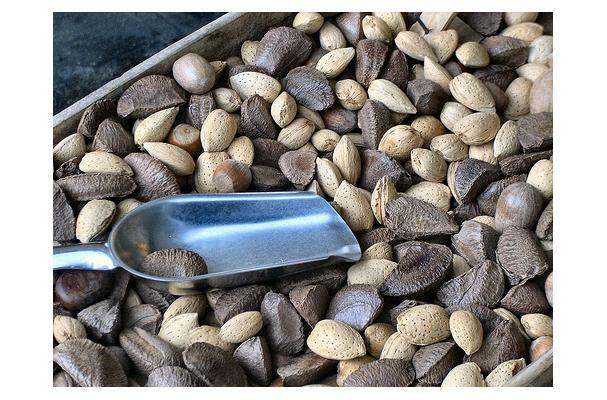 Mixed nuts may be salted , roasted , cooked or balanched.